A few years ago, I came across a little project that has been one of the most intriguing pieces of art that I have ever watched develop via the internet in our current world of constant updates. It’s called Shooting Clerks. Over the last 4 years or so, I have watched what seemed like just a strangle little fan film at first turn into a full blown motion picture that is not only supported and endorsed by the great Kevin Smith himself and the people that surrounded him during his time making the seminal film Clerks almost 25 years ago, but has led to numerous guest appearances by the OG Clerks cast themselves! It has been so exciting to watch the slow churn of development that has been the making of this amazing Scottish bred & Jersey inspired project come to form. And I am very excited to see what the final product is going to be like, as I have not yet gotten to take a look at it, but I almost readily assured that it is going to be fantastic and I will put all of my digital weight behind (for whatever that is worth). For you avid readers out there, you may remember that we have already spoken with the film’s creator, Christopher Downie, about the project during its premiere right in the film’s origin center, New Jersey. And just two days ago we spoke with the brilliant young actor, Chris Bain, who portrayed the legendary Jason Mewes. And in the past we have spoken with such legendary figures from the Clerks and View Askewniverse like Marilyn Ghigliotti, Ernie O’Donnell, and Scott Schiaffo from Clerks, as well as Matthew Maher and Bud Cort from another View Askew classic, Dogma. I mention these great interviews only to heighten the fact to you that I am so excited that this movie is making its way across the globe. And for those of you that are currently reading from my side of the pond here in Great Britain, the film is coming to you soon! The film is going premiering in London on Tuesday, January 16th at the Prince Charles Cinema – 8:45pm. It is sure to be a hell of an event that should not be missed if you find yourself in the greater London area. 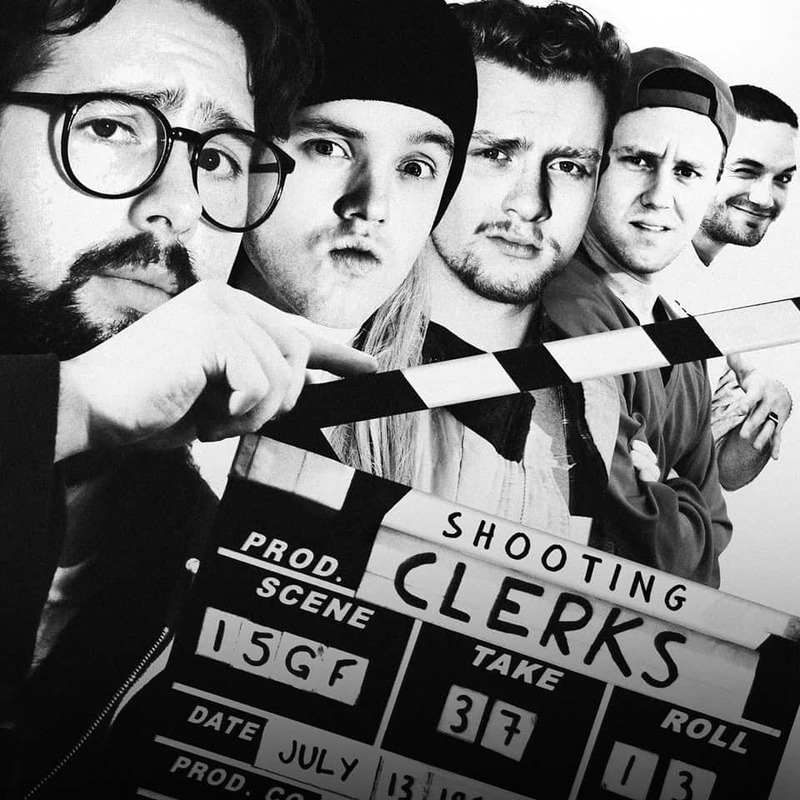 And be sure to check in tomorrow for an extremely special interview with another brilliant actor from Clerks who will appear right here on these digital pages. It is one that will definitely leave you saying, “I’m definitely supposed to be here today.” Yep, you probably guessed it. Post-Film Q&A with Christopher Downie (Director), Ryan James (Producer), Brett Murray (producer/Bryan Johnson), Chris Bain (Jason Mewes), Tom Sullivan (Jeff Anderson), Stephanie Price (Lisa Spoonauer) and Jay Booton (Dave Klein), Beverly Longhurst (actor – Kevin’s Mother, Grace) and Jonny Glasgow (actor – Ernie O’Donnell) – SPECIAL GUEST JUST ANNOUNCED : John Henry Westhead aka Olaf the ‘Berserker’ Metal Singer!!! !